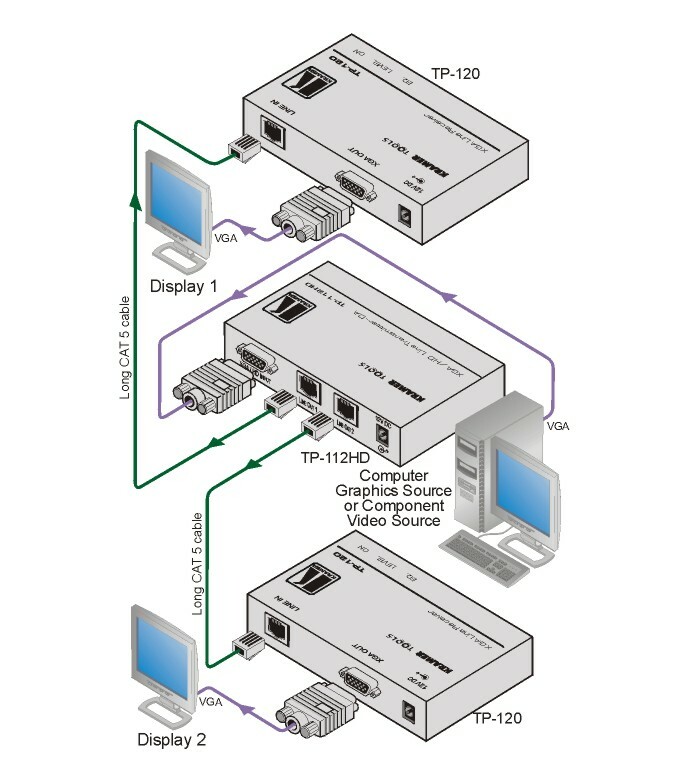 The TP-112HD is a twisted pair transmitter for computer graphics video and HDTV signals. It converts a computer graphics video or HDTV signal on a 15-pin HD connector to two identical twisted pair signals. Long System Range - Up to 100m (320ft). Greater distances possible depending on signal resolution and cable. Cable Type - Uses UTP (unshielded twisted pair) or STP (shielded twisted pair) cable such as CAT 5.